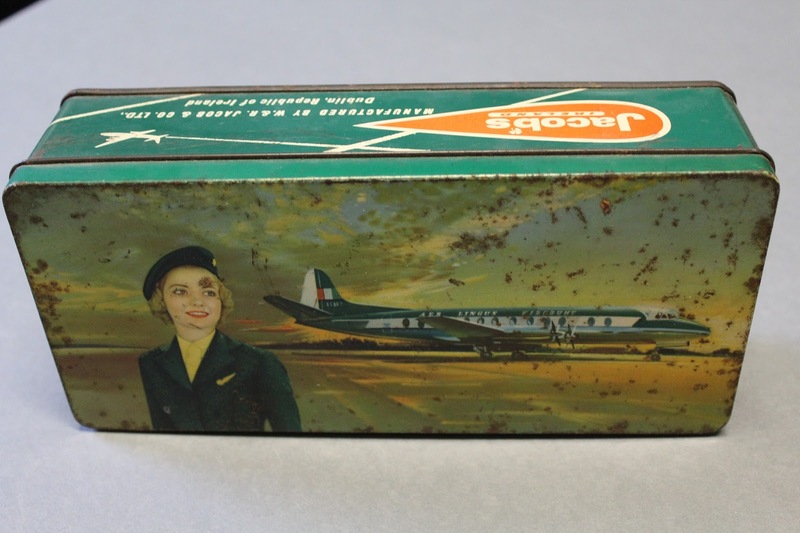 The images on the tin depict the Aer Lingus Viscount aircraft and air hostess with the distinctive green colouring. 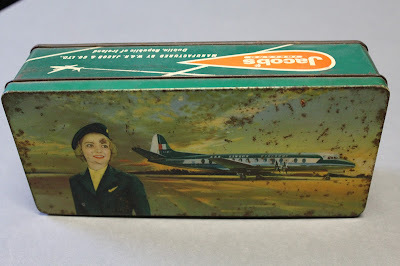 Aer Lingus began purchasing the Vickers Viscount 700 in 1951 and they started service in 1954. They were very popular with passengers.